After discussing the beginnings of film and sound in part 1, and the use of colour and lenses in part 2, the third part of this article will focus on lighting and computer generated effects. The key to cinema is capturing light and like all other techniques light has come a long way from the Lumière brothers’ short documentary La sortie des usines Lumière à Lyon, where the brothers made do with the lights they had. And while it is hard to imagine narrative filmmaking without at least one set of lights, the first film studios simply had glass ceilings to make the most of the daylight, because electric light was still in its infancy. But technology worked at a lightning pace and filmmakers soon included elaborate lighting schemes in their films. 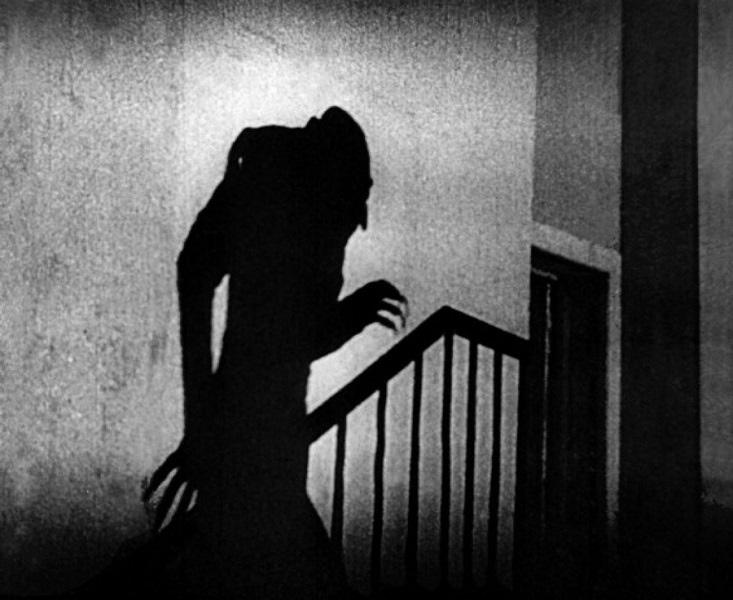 One of the best examples of this is Nosferatu (1922) by the expressionist filmmaker F.W. 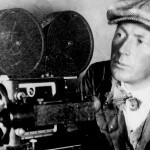 Murnau, who pioneered techniques used to this day. As if Max Schreck’s performance wasn’t already scary enough, Murnau gave Count Orlof a supernatural essence by filming his shadow in a threatening way. This technique was later used to beautiful effect in the many film noirs that were greatly influenced by German expressionists like Murnau and Fritz Lang (famous for, among others, M, Metropolis and many noir classics like 1953’s The Big Heat) and to most people the noir style still springs to mind when talking about lighting. One of the most famous noir films where Marnau’s shadowwork echoes through is Carol Reed’s The Third Man (1949), where the lighting is superbly used to support the plot. 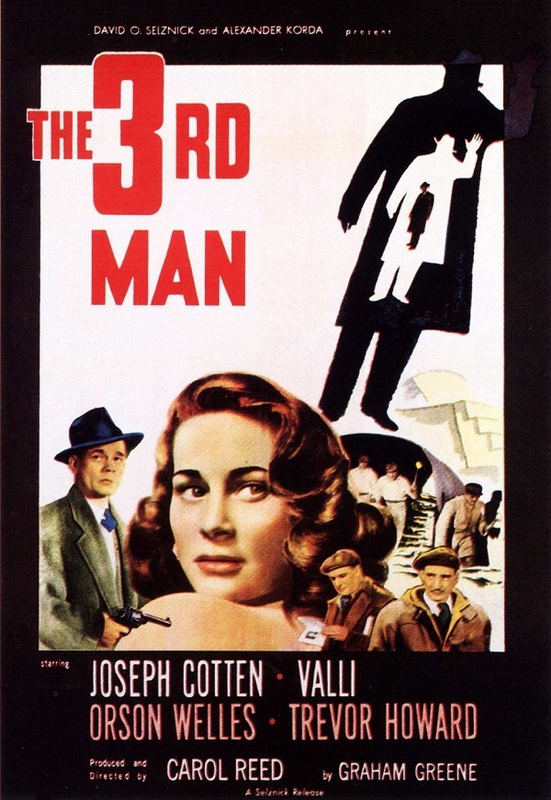 The story revolves around Holly Martin’s (Joseph Cotten) search for Harry Lime (Orson Welles). In his frantic quest for answers you constantly get the idea that his target is there, but you are literary left in the dark, because the only thing you see of Harry Lime for most of the film is his shadow. The use of lighting is so important that even the poster alludes to Harry Lime as a shadowy figure. Another, more subtle use of lighting to add to the mystery of a character is the use of top lighting for The Godfather (1972). 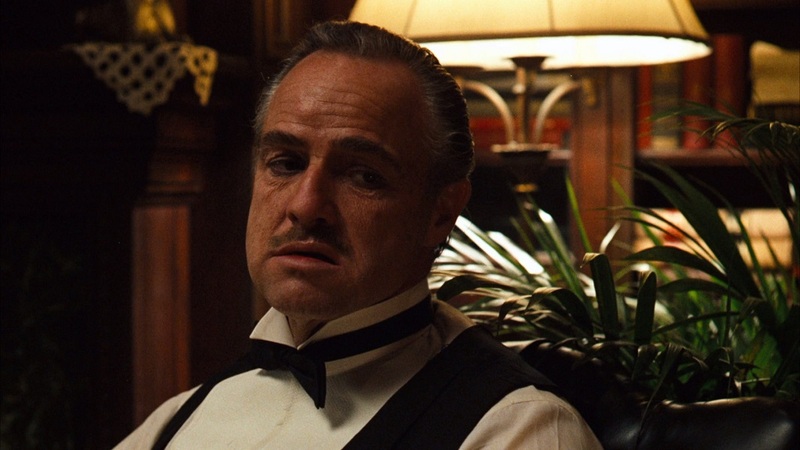 Director of Photography Gordon Willis explained that he used top lighting to obscure Brando’s eyes, making it harder for the audience to know what kind of man the Godfather was. 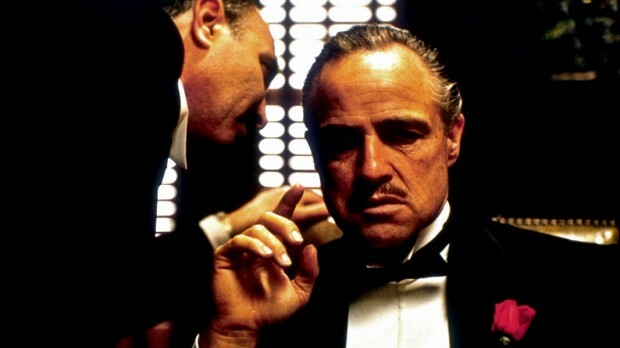 But they couldn’t just do this with the character of Vito Corleone, so they extended it to the entire film. 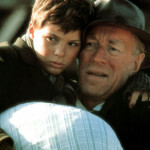 Later, when the story evolved, so did the lighting, showing the compassion Don Corleone had for his children. Lighting can do a lot more than serve as a catalyst for horror or mystery, but can also be used as a way to add realism to illusion. One of my personal favorite films of all time, Blade Runner (1982) is an example of this, where a 21st century hellscape is created through the use of lighting, fog, photography and the genius of SFX master Douglas Trumbull. Trumbull explains in a behind the scenes interview that they used a combination of smoke and small lights to create a sense of depth. Hundreds of tiny lights were used to give the illusion of a bustling city. The smoke was used to dim the lights that were further away, creating a photorealistic scene. On the DVD collector’s edition of the film (with five different versions! A remarkable box-set) Trumbull also explains that he used lighting to emphasize motion on the famous flying car. First they shot the cars without lights and Trumbull didn’t like the effect at all. The cars looked like models because they didn’t blend into their surroundings. Then they added very small lights on the cars and suddenly the effect became realistic, with the small light slowly dimming in the fog. The eighties was the last decade that was dominated by classic special effects. From the nineties onwards computer generated effects took over and Hollywood never looked back. But CGI has been part of the Hollywood bag of tricks longer than most people think. 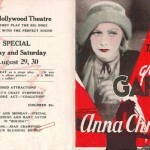 Just like with colour and sound, Hollywood has been experimenting with the use of computers for decades before the mainstream became aware of the possibilities. 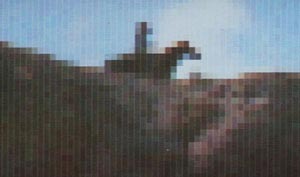 The first film where a computer generated image was used is the underrated Westworld (1973), showing the first person perspective of a robotic gunslinger played by the legendary Yul Brynner. The computer generated effect in film was born! Westworld‘s sequel Futureworld (1976) would also have its own premiere, being the first film to use 3D computer effects, but it would take a Disney movie to really push the envelope on what was possible in the digital age. Almost every frame in that scene is computer generated, which is unheard of for a film that was released in the same year as Blade Runner. While Trumbull was using a computer to moderate the fog levels in his model, Director Steven Lisberger and his team were using the computer as a visual tool on its own. Combined with a brilliant story which questions free will through the allegory of computer generated characters who talk about players in the way we talk about religion, Tron became a cult classic and even spawned a sequel 30 years after the original. Although Tron did not achieve much success initially, it did lead the way to other films that were able to blend conventional special effects with CGI to create new worlds. Steven Spielberg always tries to push the envelope technologically. For Schindler’s List he used computers to colourize the red coat of a young Jewish girl (see part 2 of the article) but it is another of his 1993 features that is seen as one of the most important films in special effects, Jurassic Park. With the reactions of the characters, making clear that they have never seen anything like that before Spielberg took a big risk. If the CGI effects were not up to scratch that moment could change from wonder into farce, but by understanding the limitations of the technique, Spielberg knew how to make the audience gasp at the exact moment as Dr. Alan Grant (Sam Neill). It is impossible to talk about the successful use of CGI in movies without at least a nod to Pixar’s Toy Story (1995). Because of the limitations of the medium director John Lasseter knew that making a story with actual people would be out of the question, so he used the limitations to his advantage by using plastic toys to tell his story. These textures were easier to render than flesh and hair, which, because people do feature in the film, does show, but not in an irritating way. The effort taken was monumental, each frame taking up to 30 hours to render. But it wasn’t the technology that made Toy Story a hit, it was the story. Critics loved the film and especially the adult way the story was told. Children loved the characters and the linear story, parents loved the double layered jokes and pop culture references. What we can learn from the examples given is that technology is important, but it should always serve good storytelling. As a film enthusiast the worst thing you can see is a director who falls so much in love with the possibilities of technology that he or she forgets that the film has to make sense (I’m looking at you, George Lucas and ironically JJ Abrams). 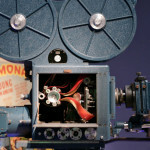 Brilliant films have been made on a shoestring budget, but that does not mean that a simple understanding of technique is not required. The success of a film like Clerks (1994) where a static camera and standard lighting make up most of the scenes is rare, but what Kevin Smith proved with his debut (and the rest of his career) is that a good script can bring you further than most other techniques ever will.